Lee Miller found herself adrift in 1929 Paris, when a chance meeting with artist/photographer Man Ray set her life on a whole new trajectory. It felt like a good time for some historical fiction. I’ve always been fascinated by Lee Miller. The Novel’s Structure – I really liked the way debut author Whitney Scharer chose to set up her book. It begins with a prologue set in 1969. In it we see Lee Miller long past her glory days as a Vogue model and a WWII photographer/correspondent. She’s a mess and I immediately wanted to know more. From there the story shifted to 1929 when Miller fled to Paris, abandoning her modeling career and wanting to do something with photography. We see her love for the art and her drive to learn to be better at it. Most of the book spans just the couple of years she worked intensely with Man Ray, first as his assistant, then his muse, eventually his lover, and finally an artist in her own right. The Miller/Ray story in itself was fascinating, but interspersed with it were very short chapters from Miller’s years as a WWII photographer. These were brilliant and gave you just a hint of the trajectory that drove her life to where it was in the prologue. A Woman in Evolution – I’ve read other stories about Lee Miller and have always admired all she managed to accomplish in her own era. For a beautiful woman to move from in front of the camera to behind it and travel across bloody battlefields was truly a feat. Scharer did a wonderful job highlighting that. 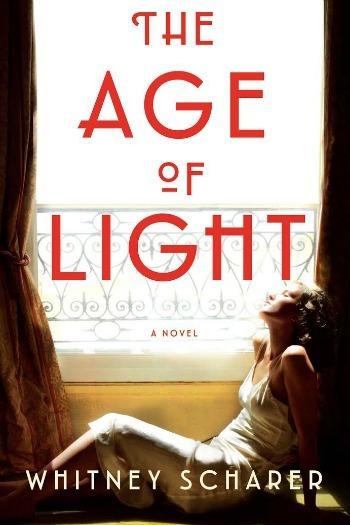 Yes, The Age of Light is historical fiction, but it felt like Miller’s true story and her actual feelings, which is exactly what I want in good historical fiction. A Love Story/Not a Love Story – The main focus of this debut is definitely the relationship between Lee Miller and Man Ray. Their’s might be described as a typical artist/muse relationship if The Age of Light wasn’t written from Miller’s perspective. The evolution of their love proceeded exactly as one might expect, until it didn’t any longer. Miller was a complicated woman with an even more complicated past and she wanted more then to be the woman behind a famous man. That fact made her story so much more interesting. An Epilogue That Works! – As many of you know, I’m not generally a fan of epilogues. I feel like they too often put an unnecessary neat and tidy bow on a story, but in The Age of Light the epilogue worked. Miller’s story had to have some sort of resolution, the circle of her life had to be completed and that’s exactly what Scharer did with the end of her book. I loved it! Slower Middle – For me there were a few chapters toward the middle of the book where it sort of lost its momentum. These chapters were important to the growth of Miller, but they might have been a little more succinct. Overall, they slowed the book just a bit. You will RARELY hear me say anything like this, but The Age of Light left me wanting a sequel. I thoroughly enjoyed getting to know Miller during her first few years in Paris, but the hints of what she accomplished later in her career and especially of her years as a war correspondent left me hungering for more. I want to know more about what she did in the years between the early 30’s and the start of WWII and I especially want to travel with her in the harsh years of that war. If she – the smell. She will write of it to Audrey. The Beautiful American by Jeanne Mackin – In this book, Miller is not the main character, but her Paris years with Man Ray play a major part in the story. The book’s title refers to her. The Paris Wife by Paula McLain – This book has the same atmospheric quality of Paris in the Jazz era, also featuring artistic relationships. Note: I received a copy of this book from the Little, Brown and Company in exchange for my honest review. Thank you! I don’t love historical fiction, however, I’ve read a few rave reviews on this one and had added it to my library request list last week. Thanks for sharing. I hope you like it. Let me know. I’m curious about the perspective of someone who doesn’t normally read historical fiction. I just got this at the library today, I loved what you had to say about it, especially that it has an epilogue! Thanks for putting this one on my radar! Wow so glad you liked this one. Looks interesting to me. Reminds me a bit of a couple of Paula McLain’s novels. 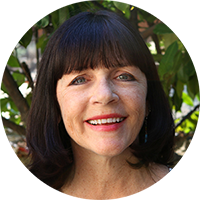 It did have a little of the Paula McLain feel, but was over a shorter time span than her books typically are.